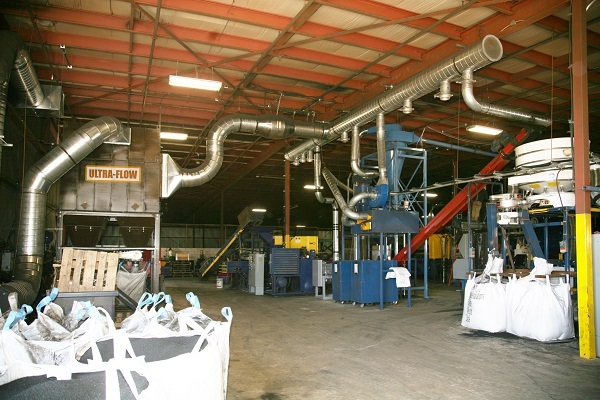 Your Ultra-Flow Baghouse Dust Collector will allow you to process large amounts of dust laden air and return perfectly clean air to the work environment, because of the most advanced UNIQUE self-cleaning technology, using powerful, but gentle reverse blasts of compressed air, to inflate the filter bags, causing the dust caked on the outside of the bag to drop down into the hopper. 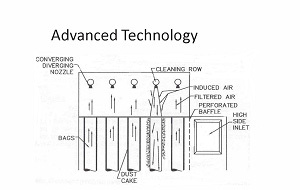 Our top of the line dust collectors can filter out the smallest and largest sized dust particles in continuous operating mode. Our top load filter bags and easy access doors make maintenance as simple as possible. Eliminates dry dust for woodworking, steel and foundry, smelting furnaces, welding, grinding and polishing, laser/plasma cutting, powder coating, cement and asphalt plants, paper, automotive, rubber recycling, grain and flour dust, food, chemical. If you could payback the entire purchase price of your dust collector, would you do it? See how thousands of operators have done just that with their operating cost savings. Designed, Engineered and assembled in USA and Canada. Get all the information in the Baghouse Dust Collector Catalog (PDF). 85-90% of the market, sold by all the big guys. Handle most dust loading’s, high temperature. 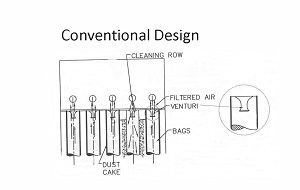 Circa 1963; compressed air powered cleaning by rows of bags, venturi accelerated the jet to project to bottom of bag, Filter ratio 10:1 or less, dependent on application. Dust penetration (puffing) unacceptable for re-circulation to the work area. Circa 1971; “generic” design, modified to use 10 foot bags. Major design flaws let to selection strictly by filter ratio. Most operated at 4-6:1 ratio. Pressure drop is 6-8″wc. High compressed air consumption with higher cleaning frequency. High velocity dust impinges on adjacent bags which are too close together. The entire industry copied the same design and very little has changed to this day. Ultra-Flow by QAM, circa 2003, are the 6th evolution of the advanced technology. Circa 1979; “Advanced Technology” first appeared, Proven technology but little known. 95% LESS dust emissions, allows for re-circulation to work area. 50-80% lower operating and maintenance cost. No venturi to restrict flow, low velocity – high volume jet = gentle but powerful cleaning pulses = no penetration & complete cleaning. 200% increased bag filter life & uses half as many bags. HIgh, side inlet eliminates “can velocity”. Supersonic nozzles; 1/4 compressed air consumption. Runs at 18-24:1 filter ration, independent of process & dust loading. Runs at 1.5-3″wc(max) pressure drop. Foot Print 68 sq.ft. (37% smaller) 108 sq.ft. 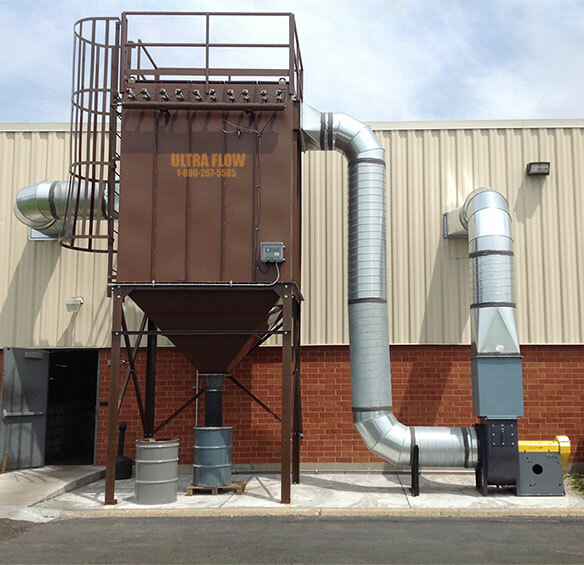 Purchasing an Ultra-Flow baghouse dust collector through Quality Air Management means that you are getting the best product by a company that prides itself on the number of installations we have helped clients with their dust collection issues. Since the early 1980’s, our technology has been used in thousands of successful jobs around the world. air to the plant which is unique to Ultra-Flow collectors.